this is on my “dream” list .. oh how I wish I had the patience to do something like this! I used size 3 thread and a size E hook. 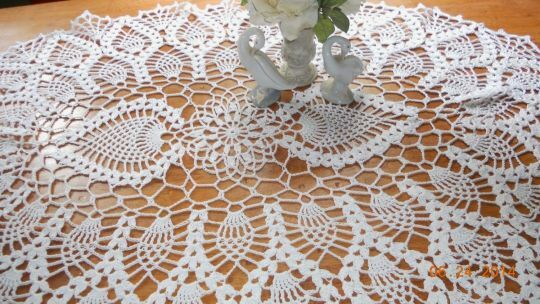 Pattern is from American School of Needlework #1094 Table Toppers in Thread Crochet. Another old booklet I have had for years. Published in 1990.